Good evening everyone! I hope you all have had a wonderful day! Tonight I an going to share another great winter combo. 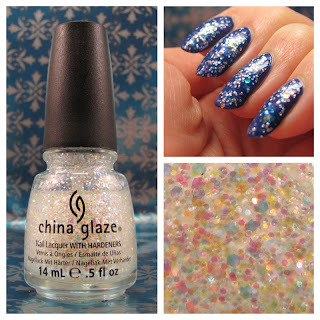 The mani tonight is inspired by a dreamy snowy night. I purchased Snow Globe last year at my local Sally’s and have used it a few times now. The blend is pretty thick but workable. 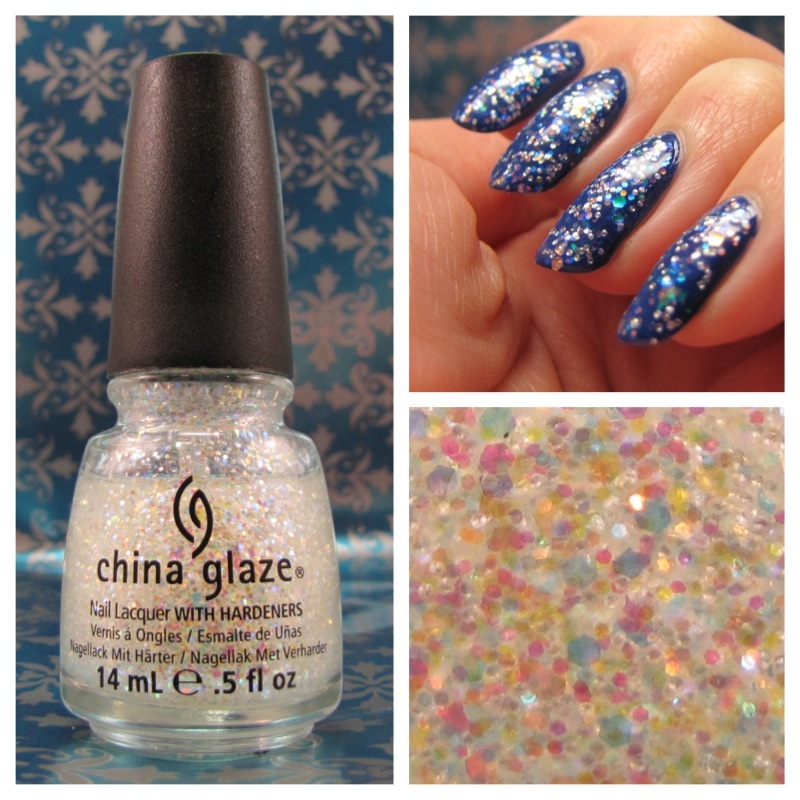 The base is clear filled with various size iridescent glitter. I have noticed that when I use it with a white base color that it does have a yellow tint so I wouldn’t recommend it. Tonights is paired with Julep’s Gunta and worked perfectly. Due to the thickness of the polish I would recommend a clear coat to smooth out. So what do you guys think? Look wintery? I will say the results are much better that using over white and the glitter adds wonderful sparkle. Thanks for stopping by and can’t wait to see you guys again soon.